Do you wonder about the different types of non-profits, and what to consider when starting one? 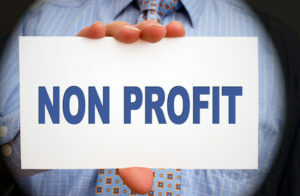 Firstly, lets delve into what a non-profit is. A non-profit organization (NPO) is an organization whose profits, or revenues above operating expenses, go back into the organization in order to fulfill its stated mission. Unlike regular “for-profit” corporations, whose profits may be distributed to shareholders and directors. Non-profit organizations operate under tax-exempt status. Examples of well-known non-profit organizations include the ASPCA, Sierra Club, and NPR (National Public Radio). What are the different types of Non-Profits? Charitable Organizations: These are organizations whose focus is on philanthropy, social improvement and service to the public interest. Churches and Religious Organizations: These organizations differ in the way that churches are automatically tax-exempt, and considered “places of worship.” Religious organizations are not places of worship, but rather organizations involved with the study or advancement of religion, and must apply to the IRS for tax-exempt status.Political Organizations: These can be political parties, campaign committees for candidates, or political action committees. Private Foundations: These organizations are usually created by an individual, family, or private group. Resources are managed and distributed by a group of directors or trustees, usually in the form of grants. What do you need to think about when starting a Non-Profit? When starting a non-profit organization you must first understand exactly what type of NPO you are looking to start. This will determine the type of tax-exemption you must file for and the necessary forms you will need to submit to the IRS. You will need a solid plan and a clear vision of what you want to accomplish and how you will get funding for your organization. Is a NPO really the way to go to accomplish what you want to do? How do you apply for tax-exempt status? Before you file for tax-exempt status, you must first incorporate with the state. You will need the articles of incorporation to apply for tax-exempt status. Then you need to file form 1023 with the IRS and pay the required filing fees. For further detailed information, see here: http://www.irs.gov/Charities-&-Non-Profits/Application-for-Recognition-of-Exemption. The Walking Dead. Trademark Infringement. Woman’s Day. Rebel Melanie Wilson. Defamation Lawsuit.